Over the years that I served as executive director at Illinois Right to Life, I received a number of calls from concerned relatives about threats to the wellbeing, or even the life, of loved ones who were placed under the care of public guardians. In all of these cases the situation leading to the appointment of a public guardian was initiated either by a relative or a social worker who disagreed with the care being provided by the caretaking relative. Based on my interaction with these concerned caretaking relatives, I learned that they lost most or all of their rights to make decisions about the care of their relative once the public guardian was appointed. Often these guardians were making medical decisions based on quality of life criteria, which in some cases led to hastened death for wards under their care, while concerned relatives could only watch helplessly in horror. I concluded, and from then on recommended, that family members need to avoid involvement of public guardians, if at all possible, to prevent heartache in providing for the wellbeing of their beloved relatives. As a senior citizen myself, I was drawn to an article in the October 9, 2017 issue of The New Yorker magazine written by Rachel Aviv with the title “How the Elderly Lose Their Rights” [https://www.newyorker.com/magazine/2017/10/09/how-the-elderly-lose-their-rights]. This article reveals the aggressive actions of some guardians who actively seek out wards and take control of their lives immediately through surprise visits to their homes. I was shocked to learn how easily these unethical and greedy guardians can take full control of the lives and property of the senior citizens who become their victims. I also realized that these unethical guardians create another source of risk for hastened death, with the potential to parallel the abuses experienced in some hospices, nursing homes and even hospitals that base health care decisions on quality of life criteria. How is it possible that senior citizens can be taken from their homes without any apparent legal safeguards? The answer begins with a plethora of guardians who are willing to abuse the legal provisions that were intended to protect vulnerable senior citizens from abuse. One available legal tool is called an emergency ex-parte petition. An ex-parte petition allows a guardian to appear before a family court judge under an exception to the rule that both parties must be notified of any argument before the judge. The guardian then requests authorization from the judge for a temporary guardianship based on claims of a need for immediate intervention, usually justified with vague and unsubstantiated risks of a medical emergency. Once the judge grants the temporary guardianship, the stage is set for the surprise visit to the victim’s home. After the victim is taken from home and placed in some type of senior care facility at the guardian’s discretion, the guardian returns to the family court judge to request that this ward be placed under permanent guardianship. This request is usually granted because the guardian is known to the judge, and the relatives of the victimized senior citizen are not prepared to present a case, and may even be falsely accused by the guardian of abusing the senior citizen who has become the target of guardianship. Attempts to request that a relative be appointed as guardian are complicated by such false accusations against the relatives, and especially if they live out-of-state. Usually, non-residents of a state, even if relatives, are not allowed to become guardians for people living in that state. The out-of-state issue makes it more appealing to practice unethical guardianship in states that are known to attract senior citizens to retirement communities, such as Nevada, Florida, New Mexico, Arizona, and Texas. Many seniors can be found there who do not have any relatives living in their state of residence. Regulation of guardianships has not been strengthened or modified in any significant way for many years. Rachel Aviv notes that “in Nevada, as in many states, anyone can become a guardian by taking a course, as long as he or she has not been convicted of a felony or recently declared bankruptcy.” Thus, many of the guardians actually practicing are private guardians operating in the public arena who benefit from the lack of regulations to prevent abuses. Unfortunately, even having close relatives living nearby is no guarantee that senior citizens will not become targets of unethical guardians. The first example cited by Rachel Aviv was a couple living in Nevada. After the surprise visit by the guardian who forced Rudy and Rennie North to immediately leave their home and be taken to an assisted living facility, their daughter stopped by that afternoon and was surprised to find her parents not at home. She was unable to locate them for a number of days until she returned to her parents’ home and found a note taped to the door with the guardian’s phone number on it. Meanwhile the guardian had immediately walked through the North’s home with a representative of a company that relocates seniors and sells their belongings at estate sales. The guardian is motivated to generate liquid assets from the victims’ property because those assets are used to pay guardian fees for time spent on the case. These fees are charged at hourly rates of $175 or more, since courts often place no limits on such fees as long as they seem reasonable. Rachel Aviv noted that an auditor for the guardianship fraud program in Palm Beach County stated that in the United States, 1.5 million adults are wards of guardians, either family members or professionals, who control nearly $273 billion dollars in assets. With the guardian controlling decisions about medical treatments, more risks are introduced. Many guardians make these decisions based on quality of life criteria. The results may include overdosing on unneeded drugs, unnecessary weight gain, and other negative health effects that can lead to hastened death. Guardianship abuses create serious risks for freedom of senior citizens to live their lives, enjoy their property, and maintain their health. Caution in dealing with medical professionals is always prudent to avoid any cursory observations being placed in the patient’s medical record that might suggest incompetence in dealing with daily living. Any such comment can be used as justification by an unethical guardian in search of new victims. With long term persistence from the daughter of Rudy and Rennie North, along with relatives of other victims of unethical guardianships in Nevada, some reforms are coming slowly for guardianships in that state. However, Rachel Aviv’s article describes many attempts at fighting guardianship injustices that reached frustrating dead ends. To put more focus on the problem, Richard Black became the director of a grassroots national organization, Americans Against Abusive Probate Guardianship (aaapg.net), after his father-in-law was placed into guardianship. The danger of unethical guardianships as a threat to the lives and property of senior citizens cannot be minimized. If you are a senior who is considering moving to the Sunbelt for your golden years, evaluating the risks of guardianship abuse should be a factor in your decision making to relocate. 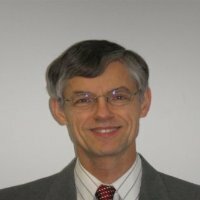 William Beckman served as Executive Director of the Illinois Right to Life Committee (IRLC) in Chicago from 2001 through 2013. In that role he maintained a website and edited a quarterly newsletter, covering and researching topics on a wide variety of life issues including abortion, contraception, stem cell research, in vitro fertilization, assisted suicide, euthanasia, hospice, brain death, and other end-of-life issues. Mr. Beckman has been involved in the Pro-Life movement since 1974, leading pro-Life activities in his own community, including annual Life Chains and monthly vigils at Planned Parenthood, and serving as Pro-Life coordinator at his church. He has also served on the board of directors of a pregnancy care center since 2000. Mr. Beckman is married to Nancy. They have four grown children and eight grandchildren.